The death occurred, peacefully, at her residence in the loving care of her family, on Sunday, January 6 of Eileen Ginty (née Biesty), Shanmullagh, Ballinamuck, Longford / Kiltimagh, Mayo, in her 98th year, and predeceased by her husband Patrick. Deeply regretted by her sorrowing family, sons Patrick, John and Martin, daughter Mary and her son P.J. daughters-in law Elizabeth and Denise, grandchildren, great grandchildren, great-great grandchildren.sister-in-law Mary Henry, nephews, nieces, relatives and friends. Rest in Peace. Reposing at Connell's Funeral Chapel, Church Street, Longford on Monday evening, January 7 from 5pm to 7pm with removal to St Patrick's Church, Ballinamuck arriving at 8pm. Funeral mass on Tuesday, January 8 at 12 noon, followed by burial in Ballinamuck New Cemetery. House private please. Please note that parking for Connell's Funeral Chapel is available in Connolly Barracks car park. The death occurred, peacefully, at home surrounded by his loving family and the palliative care team, on Sunday, January 6 of Bill Clyne, 63 Clonmore Heights, Mullingar, Co Westmeath and formerly Ballyglasson, Carrickboy Co Longford. (Retired Irish Army 4thF.A. Regt). Predeceased by his wife Patricia. Bill will be deeply missed by his loving family, sons Declan and Liam, daughters Fiona and Niamh, grandchildren Conor, Cathal, Aaron and Callum, brothers Tim, Pat and Oliver, sisters Maisie and Margaret, sons-in-law Paul and Joel, daughter-in-law Paula, nephews, nieces, brothers-in-law, sisters-in-law, relatives, neighbours and a wide circle of friends. May Bill Rest in Peace. Reposing at his residence on Tuesday, January 8 from 4pm to 8pm. Funeral mass on Wednesday morning, January 9 in the Cathedral of Christ the King, Mullingar at 10am. Burial afterwards in Ballyglass cemetery. House private on Wednesday morning please. The death occurred, peacefully, at Cavan General Hospital, on Saturday, January 5 of Philip Hourican, Dunbeggan, Aughnacliffe, Longford. Deeply regretted by his brother Joe, sister Rena and brother in law Seamus. Rest In Peace. Funeral Mass in St Colmcille’s Church, Aughnacliffe at 11am on Monday, January 7 with burial afterwards in adjoining cemetery. The death occurred, suddenly, at Naas General Hospital, on Wednesday, January 2 of Patrick Walsh, Cloontuskert, Roscommon. Beloved son of Bridget and the late Patrick; sadly missed by his loving mother, sisters Maryann and Bridget, aunt Ann, niece Jen, relatives and friends. Reposing on Monday, January 7 from 2pm to 4.30pm at Smyth’s Funeral Home, Roscommon. Removal on Tuesday, January 8 to the Church of the Holy Rosary, Ballyleague, arriving for 11am Mass. Funeral immediately afterwards to Cloontuskert Cemetery. Family flowers only please. Enquiries to Murphy Brothers Funeral Directors, Church Lane, Naas Ph: 045 897397. May He Rest In Peace. 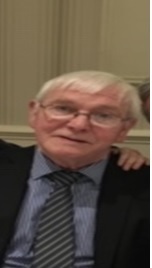 The death occurred, peacefully at Abbey Haven Nursing Home, Boyle, on Saturday, January 5 of Michael Vincent McMorrow, Cornacloy, Glenfarne, Co Leitrim. Deeply regretted by his loving children, John (Trim), Martin (Paris), Marian (Strokestown), Breege (Galway), Michelle (Strokestown), Olivia (Ennis), sons-in-law, daughters-in-law, grandchildren, cousins, neighbours and friends. Funeral Mass in St Michael's Church, Glenfarne on Monday, January 7 at 11.30am with burial afterwards in the adjoining cemetery. Family flowers only please, donations in lieu to Abbey Haven Nursing Home. The death occurred, peacefully, at Cavan General Hospital in the loving care of her family, on Sunday, January 6 of Josephine Prior (née McHugh), Drumderg, Ballinamore, Leitrim. Beloved wife of the late Jim Joe. Sadly missed by her loving family Gerry, Paddy (Dunboyne), Brian (New York), Seamus, Sean, Damien, Raymond and Paul, brother Micheal (England), sister Mary McGoldrick (Belturbert), daughters-in-law, grandchildren, sister-in-law, nieces, nephews, relatives and many friends. May She Rest In Peace. Reposing at her residence on Monday, January 7 from 2pm until 6pm. House private at all other times please. Removal on Monday evening, arriving at St Brigid's Church, Corraleehan at 8pm. Funeral Mass on Tuesday morning, January 8 at 11am with burial afterwards in the adjoining cemetery. Family flowers only please. There will be shuttle bus in operation on Monday from Corraleehan Church to house from 2pm until 6pm. The death occurred, peacefully at Sligo University Hospital,of Margaret (Peggy) Ellis (née Duffy), Treanmore, Mohill, Leitrim. Beloved wife of Liam and much loved mother of Richard, Padraig, Gayle and Gerry. Daughter in law, Kathleen, Brother in law, Jimmy, Beloved grandchildren, Aisling , Maìread, Siobhan, Liam, Katelynn, Nicole,sisters in law, nephews, nieces, relatives and friends. Reposing at her home on Monday, January 7 from 2pm to 5pm, followed by removal at 7pm to St Patrick’s Church, Mohill. Funeral Mass at 11am on Tuesday morning, January 8 followed by burial in adjoining cemetery. Sacred Heart of Jesus have mercy on her soul. Family flowers only, please. Donations, in lieu of flowers, if desired, to The Irish Heart Foundation.